Before director Denis Villeneuve takes on the highly-anticipated Untitled Blade Runner Project, his new film Sicario hits theaters on September 25. While doing press for Sicario, the filmmaker revealed yesterday that principal photography on Blade Runner 2 will begin next summer, although he wouldn't divulge any specific plot details quite yet. During a new interview with Crave Online at the Toronto International Film Festival, Denis Villeneuve revealed that his follow-up will answer the question fans have had for decades: is Rick Deckard (Harrison Ford) a "replicant"? Here's what he had to say, although he refused to give his answer to that question now. "Now that I am on the other side of the fence I cannot answer. The thing I must say is that I love mystery. I love shadows. I love doubts. I would just want to say to the fans that we will take care of that mystery. I will take care of it." The director revealed in yesterday's interview that he was incredibly hesitant to take on this project, which was written by original Blade Runner writer Hampton Fancher and Michael Green, based on an idea by Fancher and Ridley Scott. He also said that this sci-fi sequel will be "autonomous" to the original, while still maintaining some connection to the sci-fi classic. The filmmaker revealed in this new interview that he realized the story for this new movie "makes sense." "It is by far one of my favorite movies of all time. As a huge Blade Runner fan I realized that [the new movie] makes sense." Along with Harrison Ford, Hampton Fancher and Ridley Scott, Blade Runner 2 also brings back original cinematographer Roger Deakins. While principal photography will begin next summer, the exact locations have not been determined yet. The project still doesn't have a release date set at this time, but it will most likely hit theaters in 2017, which would coincide with the 35th anniversary of the original film. 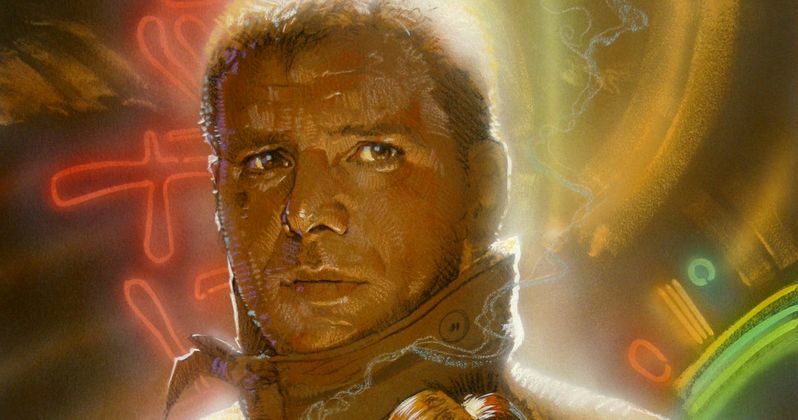 Do you think Harrison Ford's Rick Deckard is a replicant? Are you looking forward to this new follow-up addressing that question? It isn't exactly known what time period this movie will be set in, but now that a production schedule is in place, hopefully we'll start learning more details about this highly-anticipated project. Chime in with your theories below, and stay tuned for more on the Untitled Blade Runner Project.